Most consumers are looking online for information that will help them make smarter purchasing decisions. In fact, according to the eCommerce Foundation, 88% of consumers will research product information before they make a purchase online or in the store. This buying behavior trend emphasizes the importance of a website for today’s businesses. The importance of a website for marketing extends to every aspect of your digital marketing strategy. As the backbone of your online presence, every type of communication, piece of content, or advertisement that you put online will drive the consumer back to your website. As such, it’s important that your website gives consumers a clear idea of what your brand is about and what types of products or services you offer. Let’s start with your social media marketing. Though you use third-party social media sites to reach and engage with consumers, you have to have a place to send consumers to when they want to learn more about your business. Similar to our social media post below. We tell consumers we are an SEO company, but if they don’t know what SEO is, then they can learn more by following the link to a blog post about SEO. Your website serves as that “home base” where you can send customers when they want to make a purchase or learn more about a particular product or service you offer. The importance of a website for content marketing is also significant. Your content needs a place to live. Whether it’s blog posts or product descriptions, you need a place to display that information so that prospective customers can find it. Your website is the perfect place to house all of the great content your business creates to inform and engage your target audience – just like the blog post you’re reading right now that’s providing you with more information. Your website also plays an important role in your email marketing. If you are using email marketing to reach and engage your customers, then you need somewhere to send them to convert. Your website is the perfect place to guide your email subscribers to when you want them to learn more about a product or even make a purchase. You could do this in your weekly newsletter like we do. Each week, we send our subscribers more information on our services so they can learn more about what we do. They do this by clicking the links to our website. Your PPC ads also need a place to lead consumers to. PPC advertising is a great way to reach more of the consumers who are most likely to be interested in your products. But you need to have a website that you can lead these consumers to when they click on your PPC ad. Whether it’s a tailored landing page or a specific product page, the ad has to have a destination on your website. Your ad can also have multiple destinations to provide even more information and cover more areas for what the user might be looking for when they type in their search. The ultimate goal of your website is to answer all user questions with the information you provide. The importance of a website for search engine optimization (SEO) lays in the way that this marketing tactic works. When customers use the search engine to research products, services, brands, or even challenges, the search engine delivers a list of web pages relevant to these topics. So, if you want to bring some of this online traffic to your own business, you need a website to drive that traffic back to. The more optimized this site is for search engines like Google, the more chances you have to reach new consumers. Sales are vital to every business. It’s the only way that you can keep your company up and running. And improving sales is the best way to improve the health and success of your business. The importance of a website for sales cannot be overstated. By having an online presence through your website, you are able to reach more consumers. The more consumers you reach online, the more opportunities you have to make a sale. Developing a website doesn’t automatically bring paying customers to your business. However, through search engine optimization of your website, you can improve your chances of bringing in more qualified leads who are more likely to make a purchase. Not only does a website help you increase your sales opportunities, but it also increases your availability to make sales. With a website, you can sell your products and services around-the-clock. You don’t have to be actively engaging with leads on a constant basis because they are able to get the information they need from your site. Additionally, your website offers another channel for sales. In addition to selling your products and services online, you can provide consumers with the information they need to make an informed purchasing decision. Effectively, the content that’s on your site serves as an additional sales person, helping customers get the information they need and convincing them of the benefits of your products or services. The importance of a website for building credibility is also something that brands need to consider. In today’s digital marketplace, businesses without a website are seen as less credible. The reason for this is because most companies have a website, so those that don’t may look like they have something to hide. How does a website help you build credibility? Well, it allows consumers to see what your brand is all about. In addition to showcasing your products and services, you can also tell consumers about your company and its mission. By helping consumers get to know your business, you are working to establish trust, which is the first step in building long-lasting customer relationships. Use your website to establish authority. When it comes to finding a reputable business, consumers want to know where a brand stands in the industry. The content that you create and publish to your site helps show consumers that you know your stuff. By providing valuable and educational content, you can work to build stronger relationships with consumers and encourage conversions. Not only does your website give you an opportunity to build credibility and authority, but it also helps you set yourself apart from the competition. Each company’s website content is unique. That means that you have the opportunity to show leads and customers what sets your business apart from the rest through customized content. You want to stay ahead of your competition. If they have a website and you don’t, then you immediately just lost a customer determining which business they wanted to use. We touched on this when discussing the importance of a website a little bit earlier in the post, but it’s worth emphasizing again. A website provides accessibility to your target audience around the clock. Even when you and your team have checked out for the day, your website is still working hard to bring more customers to your business. Imagine how many more sales you could make if you never slept. Well, luckily, you don’t have to give up sleep to reach your customers 24/7. With a website, you provide a place for consumers to see what your brand is about and learn more about your products and services, any time of the day or night. If you make your products available for sale on your website, then consumers can even make purchases around the clock. By making it easy for consumers to browse and buy your products online, you’re making it as convenient as possible for leads to convert to customers. And the best part is – you don’t physically have to be there to still reap the benefits of the sale. Your website serves as your own personal digital sales person. Your site gives the consumer what they need to know about the product, makes the sale, and collects their payment information online. Your website is often your customers’ first impression of your brand. Even if you are a brick and mortar business that depends on local foot traffic, there’s a good chance that your customers are researching your business online before they come in. That is why it’s vital that you have a professional website. The importance of a website cannot be overstated. But if this website is unattractive or hard to navigate, then you may be turning your customers away without even knowing it. In fact, a survey from Business 2 Community shows that 94% of people stated that web design is the top reason that they mistrust or reject a website. Simple Navigation – It shouldn’t be hard for visitors to find what they’re looking for on your site without clicking around several times. Navigation menus should be clear and simple, helping visitors find what they’re looking for in just a few moments. Attractive Design – Your site should be attractive, using colors and images that align with your brand while also being pleasing to the eye. A professional site has a balance between attractive design and content that’s easy to read and quick to load. Helpful Content – The content on your site should be informative and help visitors better understand your products and services. It also needs to emphasize relevant keywords that your consumers might use to find brands like yours online. Search Engine Optimization – Your site structure and content both need to be optimized for search engines like Google. Professional site design includes SEO services that ensure consumers can find your site online. Fast Site Load Times – If your site doesn’t load within a few seconds, visitors may be inclined to leave. Professional website design will ensure quick load times to improve the user experience. Easy Conversion – Your website should make it easy for visitors to convert with a quick and simple check-out process. Your shopping cart should also be easy for customers to use and come back to if they click away from your page. The importance of a website for your business success is clear. Without a website, you cannot reach and engage your target customers online. Even if you have a brick and mortar business that serves mostly local customers, your business can still benefit from a website. Getting started with a professional website for your business doesn’t have to be hard. 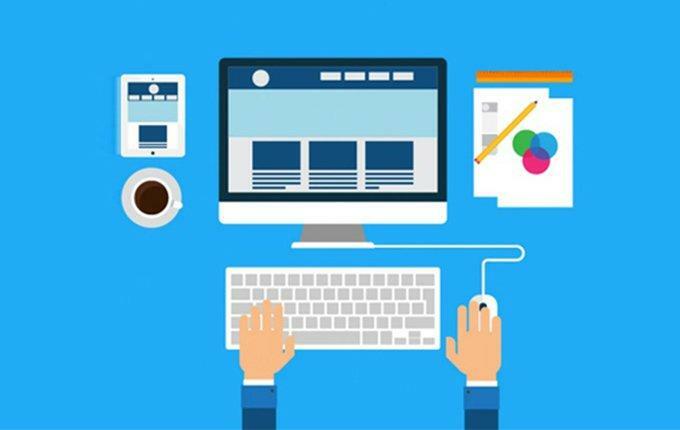 There are a variety of website building services that you can use to design your own attractive website in just a few hours. Drag and drop website building services like SquareSpace and Wix are easy to use and affordable. If you have some web design knowledge, you can also use WordPress, which is free to get started. However, if you are serious about launching a professional website and optimizing your site for the search engines, then you may want to work with a professional web design agency. Though working with web design professionals does require an up-front investment, you will find that the money you spend on professional web design services is well worth it. A web design agency can also create web page content that is optimized for the search engines. SEO website content will make it easy for your target consumers to find you when they look for relevant topics and products on search engines like Google. If you need help designing an attractive website that’s optimized for the search engines and easy to navigate, it’s time to call in the experts. Our web design team at LYFE Marketing provides WordPress web design services to help brands like yours reach new audiences online. To find out more about our web design services or to learn more about the importance of a website, contact us today. This is a pretty good article that speaks about how brands can build credibility for themselves by having a strong online presence in the form of a website.